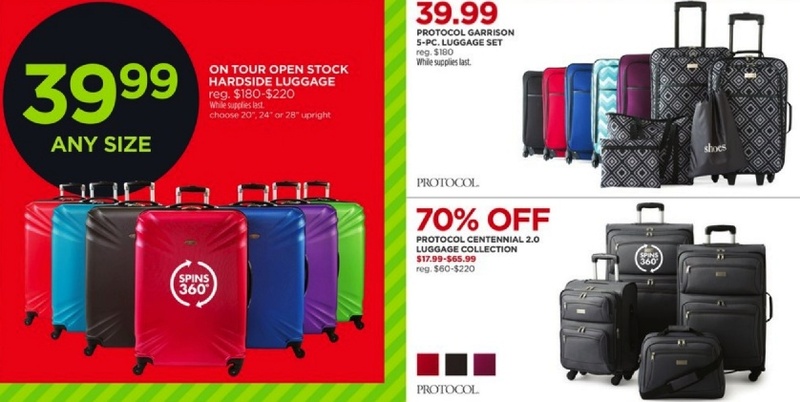 Find the best Black Friday deals on luggage and briefcases during Thanksgiving weekend. 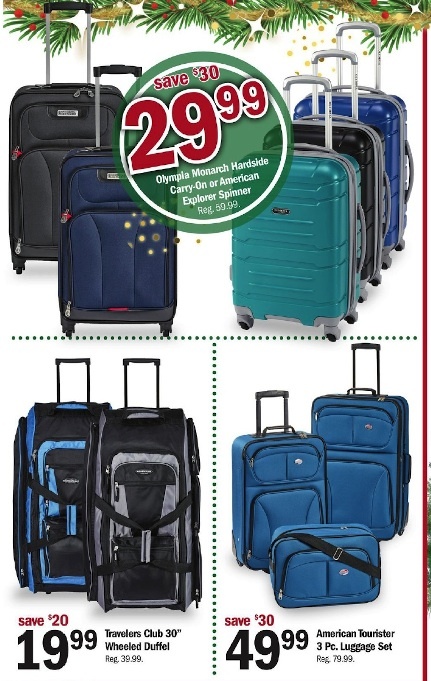 Shop for luggage sets, carry-ons, garment bags, laptop bags, briefcases and more during Black Friday 2018 and Cyber Monday. 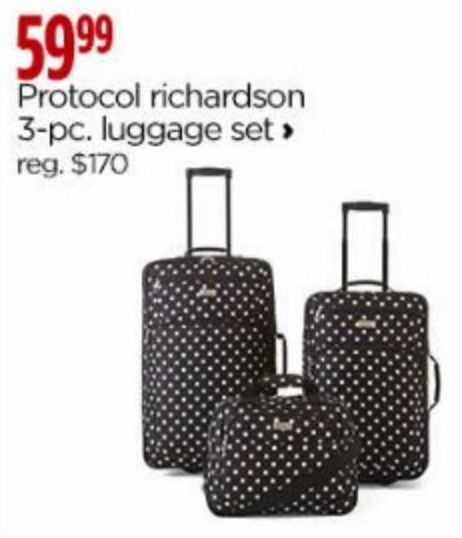 Luggage Sets: In the days where airlines outlined multiple checked bags for no additional costs, these were commonplace in closets, hotels and airports. Now, they are best used on road trips to nearby cities. 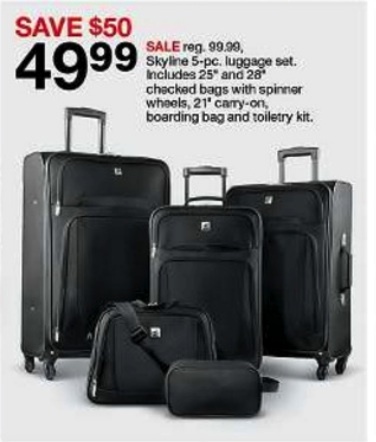 Garment Bag: For a frequent business traveler, a wheeled garment bag becomes a necessity. Whether you are buying this item at a discount for yourself or as a Christmas gift for a loved one, you can’t go wrong here. 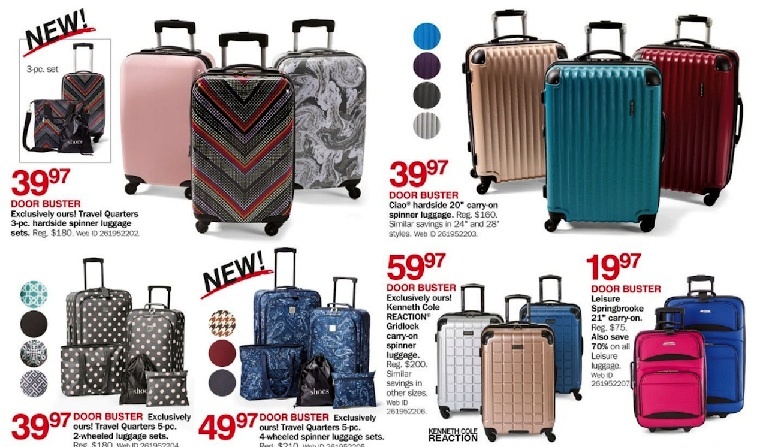 Carry On Luggage: With airlines increasingly offering discounts for flying without checked bags and the increased cost of checking a bag, a good, small carry-on bag can save you hundreds of dollars. 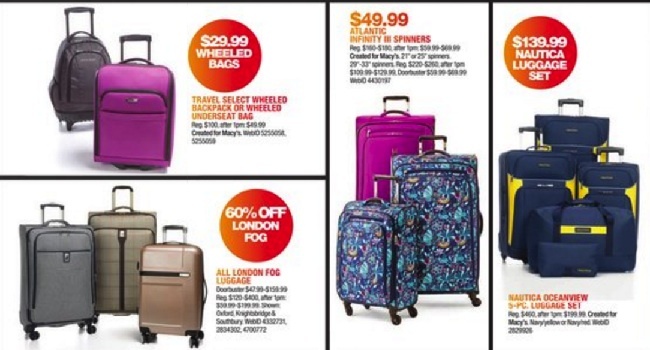 We will have our eye out for both the traditional carry on with wheels and the personal items that are substituting for the carry on these days. Laptop Bags: Protect your personal computer on your journey with a padded pocket or fitted sleeve inside one of these bags especially designed for laptops. Briefcases: Whether you are looking for a satchel, messenger bag or the classic leather briefcase, we can help you find one at a good discount on Black Friday. 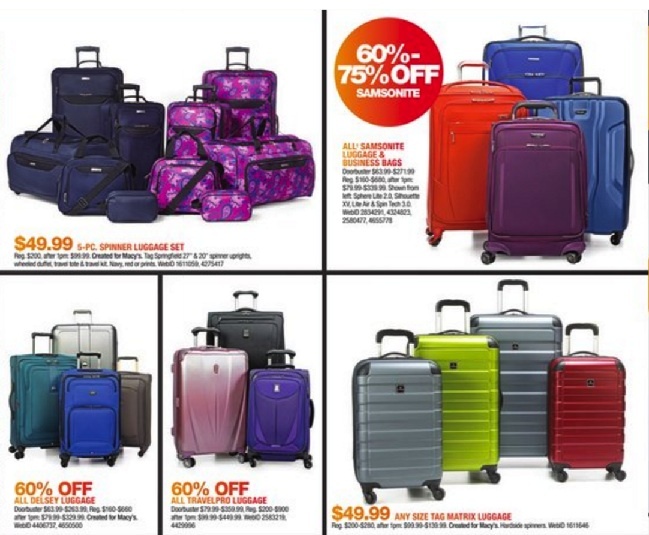 Rockland: Fox Luggage has sold Rockland luggage since its inception in 1995. 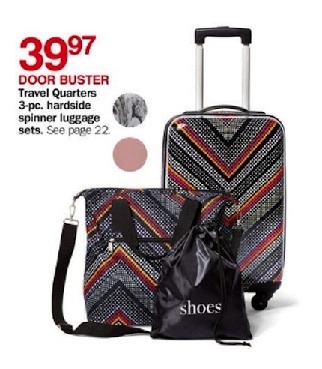 They are known for being affordable, colorful and travel resistant. 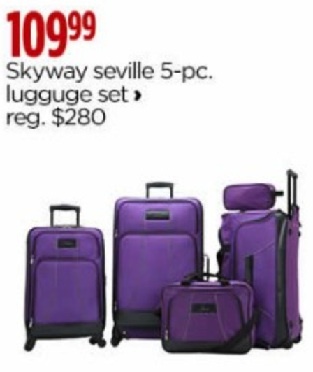 Its selection ranges from multi-piece luggage sets, to rolling backpacks and carry-ons. Samsonite: An American luggage manufacturer and retailer founded in Denver with products ranging from large suitcases to briefcases. 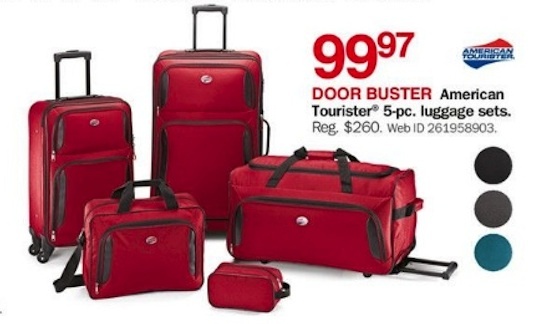 American Tourister: A brand of luggage created by American Luggage Works, which was founded in Providence, Rhode Island in 1933. It is now owned by Samsonite. 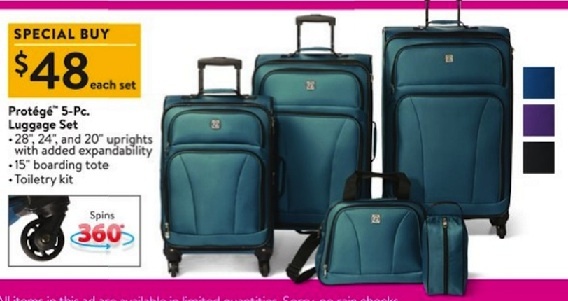 Delsey: A French company which manufactures luggage and travel accessories. The brand was formed in 1946. In 2015, it announced a smart suitcase prototype called the Pluggage. Filson: A Seattle-based outfitter and manufacturer of goods for outdoor enthusiasts including luggage. The company was formed in 1897 and the brand is now owned by Bedrock Manufacturing founder Tom Kartsotis. 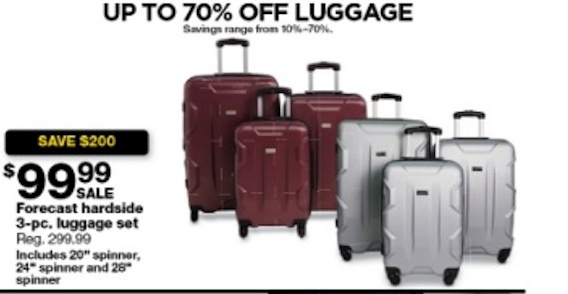 Tumi: A New Jersey-based manufacturer of suitcases and bags for travel. They are sold in over 120 Tumi stores as well as department stores and other shops. It was founded in 1975 and was bought by Samsonite in 2016.